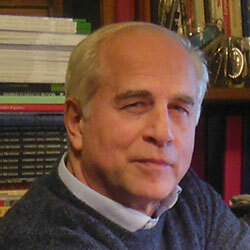 Camillo Loriedo, MD, PhD – Professor of Psychiatry and of Psychotherapy, University of Rome. President of the Italian Society of Hypnosis and of the Italian Milton Erickson Society. Past-President of the International Society of Hypnosis, and Past-President of the European Society of Hypnosis. Director of the Italian School of Ericksonian Hypnosis and Psychotherapy, and Member of the Board of Directors of the Milton Erickson Foundation. Editor of the Italian hypnosis journal “Ipnosi”. Editorial Consultant, International Journal of Clinical and Experimental Hypnosis, since 1997. Member of the Editorial Board of the American Journal of Clinical Hypnosis since 2005. In Phoenix, Arizona (2001) has been awarded by the Milton H. Erickson Lifetime Achievement Award for outstanding contribution to the field of Psychotherapy. In Bremen (2012) has been awarded with the Benjamin Franklin Award (Gold Medal) the highest honor of ISH. In Toronto (2012) has been awarded by the Society for Clinical and Experimental Hypnosis with the Shirley Schneck Award for Significant Contributions to the Development of Medical Hypnosis. On April 2013 he has been nominated Chairman of the Awards Committee of the International Society of Hypnosis. TI05 – Anorexia and Bulimia Nervosa: Is a Brief Treatment possible?